Trampled By Turtles' stunning bluegrass cred hasn't been without strife and separation, yet their post-2016 hiatus found a way to reinvigorate. Interview with Erik Berry. 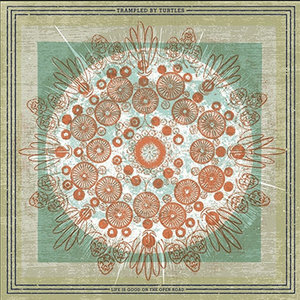 Over the last 20-or-so years, the bluegrass-folk-rock group Trampled By Turtles developed deep bonds as bandmates as they recorded and toured eight full-length albums (three of which have reached US Billboard chart number one spots). Their latest effort, Life is Good on the Open Road (Banjodad Records, 2018), saw Trampled re-uniting after roughly a year-and-a-half pause, which allowed the band to re-evaluate their creative aspirations and find a way to feel 'original' and invigorated once again. I talked with them by phone this past July. 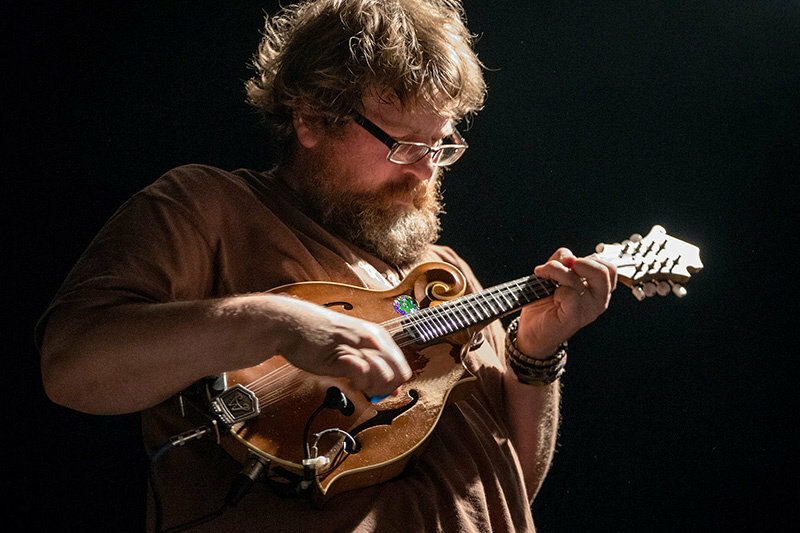 "We all get a little bit giddy playing the new record and we are all really happy with it," said Trampled By Turtles' mandolinist Erik Berry. "It's been a comfortable return to form and we are just pleased. Trampled had been on mothballs for 20 months, and while individually we'd all kept playing, it was not brand new. But it still felt fresh. It took a break to realize that." The split began when lead singer Dave Simonett told his colleagues that he was exhausted with Trampled, and that he had for some time wished to experiment with other musicians and invest further energy in his other group, Dead Man Winter. During the respite, Simonett released the folk-rock album Furnace (Gndwire, 2017) and toured Dead Man Winter. As that schedule eased, however, he found that his thoughts drifted to his old bandmates. "I wasn't happy being asked to ([break up the band] for an indefinite period of time," said Berry. "But it needed to happen. We figured that, yes, we can all do that. Six months after the break I noticed the wisdom in it, and I noticed my own internal musical monologue changing. I was writing different songs, and the break created this big growth of stuff and that wouldn't have been possible otherwise. I was not happy about it going it, but coming out I appreciated the benefits it had." 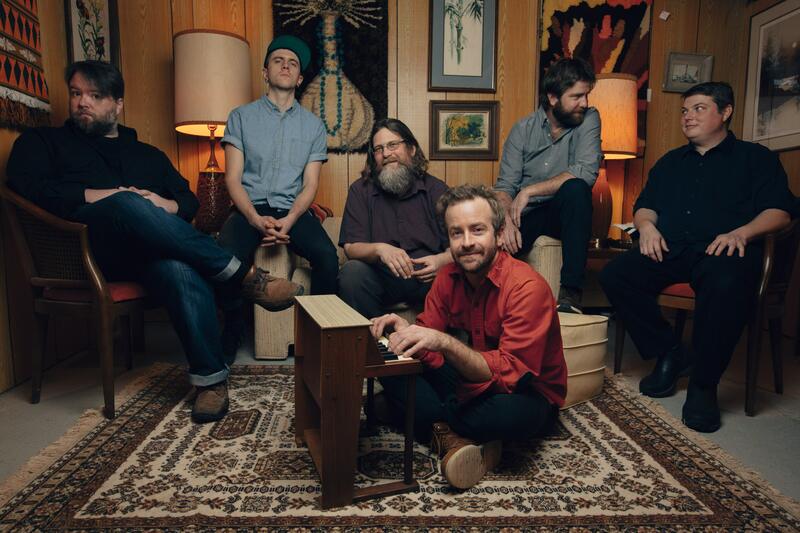 Trampled By Turtles formed in Duluth, Minnesota in the early 2000s; after years of grinding it out at brewpubs, pizza joints, and college bars, they found their stride as one of the region's best musical exports. It was in the wind-torn confines of the gritty Lake Superior shoreline city of Duluth where the band fully accepted itself. "All of the others guys did grow up in Minnesota, except for me," said Berry. "We were all living there when we put the band together. For about a year and a half all of the guys were living there in Duluth and then we all moved to other parts of the state, like Minneapolis. Most of our earliest waves of support came from Minnesota, and from people who had friends from Minnesota or who were from Minnesota and who moved to the South, the Rocky Mountain states, or Pacific Northwest. It was like, 'my sister told me about these guys.' More and more we see people from Wisconsin and Ohio who say, 'hey, we are fans from the Midwest too.'" Berry admitted that certain people from mostly Southern states with strong bluegrass tendencies – such as North Carolina, Kentucky, and Tennessee – can be harder to form a tie with. "Some of the people from the bluegrass states have their own ideas as to what bluegrass is," said Berry. "Some have this sense of us being from Minnesota, and only hear that part, and I don't know why that has been the case, but for the most part [our identification with Minnesota] has worked." Berry alludes to the fact that bluegrass has a 'traditional' wing of adherents and enthusiasts as well as a non-traditional, contemporary crowd of performers and followers. "We've spent our whole career identified with bluegrass and while we get compliments, there's also this notion that if you ain't from one state, then you ain't bluegrass. I don't have a traditional way of seeing it, and I don't play traditional music. I'm sure creative musicians such as Bill Monroe would have no problem with it. Mass-recorded music isn't that old, and today everyone learns [to play music] off the records, not from a banjo in North or South Carolina. So to play regional traditional music, bluegrass, Irish, Canadian folk-music, you don't have to be from that place to absorb yourself into it, just a diet of something to have it influence you." Berry attended college in Iowa and later worked in Wisconsin where he lived with a housemate who was from Duluth. The roommate promised to introduce Berry to some fellow musicians if he were willing to make the move. The band which would initially spring from that didn't catch, but eventually he and several others merged together to form Trampled By Turtles. The band broke through the clutter with a string of albums tied together by the fantastically road-weary vocals of Simonett and the billowy, kaleidoscopic instrumental work of Berry, Tim Saxhaug, Ryan Young, and Dave Carroll. In the latter part of 2016, Trampled By Turtles played a festival in Shakopee, Minnesota, and followed with a concert in Hinckley. Soon after, Simonett announced that he was "going away for a little while" and thanked listeners for "an amazing first chapter". After a year and a half apart, they met up at Dave Carroll's family's cabin near Grand Rapids. The guys simply wanted to re-connect as friends for a couple of days and share chords and ideas together. "First and foremost, we are dealing with some really nice guys," said Berry. "But we were stressed at the end of 2016… you get tired, you have the same schedules, and are at close quarters, and it's not your regular work station where you've left your co-worker for the night. Little things can add up – and you have to not let little things add up." Not long after this meeting, they went to Pachyderm Recording Studio in Cannon Falls, Minnesota, and put together an album in five days. The mood in the house and neighboring studio was gentle, musical, artistic, tender and devoted. They talked about memories and melodies, their friendships and their futures. "Pachyderm has many isolated, wooden acres so you don't have to leave," said Berry. "I think that I left once in ten days to run into town to do groceries. Our days, we'd wake up, drink coffee, and spend the mornings talking, and then we'd walk the 200-feet to the studio, and that provided the sense of going to work, and we fell into a routine. We'd work on one song and then break for lunch at 3 o'clock, and we were trying really hard to get it done and be efficient. We put down 12 tracks in six days. "Dave likes walking around the woods out there and fishing in the trout stream. I live on some land that is about 20 miles north of Duluth, so I saw it as an opportunity to not be outside." Life Is Good on the Open Road churned into a batch of fresh material, an accomplished and neatly composed reflection of the present, a friendly collage of bluegrass, folk and rock 'n' roll. While the band sticks to its core instruments (guitar, fiddle, mandolin, banjo, cello, and upright bass), they conscientiously circumvent the trap of making every song sound the same. There are moments of pure joy and connection, and a full platter of steady, inviting beats and familiar melodies. "Dave was dealing with everything and we shelved Trampled so he could deal with it," said Berry. "We all came back and started playing together for the first time in two years and playing differently. It didn't feel completely different, but it didn't feel the same. I was not happy about [putting the band on hold] going in, but coming out I appreciated the benefits it had on us." Trampled By Turtles perform at the Danforth Music Hall in Toronto September 12th.